As we head into the season of school plays, piano recitals and holiday dances, we take a moment to celebrate the role that art, drama, music and dance play in empowering and raising awareness of children’s rights. A number of CFTC’s local partners integrate arts into their children’s programming. Whether music, dance, drama or visual arts, participating in creative forms of expression has a variety of benefits for children, from building teamwork, to providing a sense of mastery and accomplishment, to offering therapeutic psychological benefits. In our African countries of operation, drama and dancing is a vital form of communication. CFTC staff and visitors are invariably greeted with dancing and singing upon their arrival in any community. 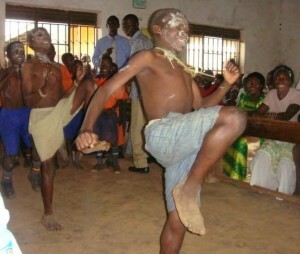 These welcome ceremonies are both offerings of gratitude as well as demonstrations of important messages that the community would like to share about their customs (just ask CFTC’s Executive Director about her unwitting but enthusiastic participation in a Ugandan boy’s circumcision dance!) and issues. 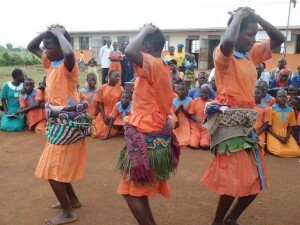 In HIV/AIDS-affected communities, for example, drama and dance is frequently used to convey important public education messages around the transmission and spread of the disease, and as a means to alleviate the social stigma that isolates so many families. The use of drama and dance, written and performed by the community and for the community, is an accessible, non-threatening method to raise difficult or controversial issues. In Ghana, CFTC’s local partner RAINS delivers child rights workshops in dramatic form to illustrate the value of education, especially for girls. Often performed by the children themselves, the dramas give children a voice and a say in topics that affect them. They both learn about their own rights and learn ways to ask for these to be respected – in some sense, ‘speaking truth to power.’ The dramas are also important ways for adults to become emotionally connected to the direct impact that the denial of children’s rights – such as the right to education for girls – has on specific children in their community. In Bolivia, dramas are used similarly to heighten awareness and educate adults and children to recognize and take action to reduce instances of domestic violence, which continues to be a major issue in Bolivian society. In Uganda, CFTC’s partner UCOBAC has trained and empowered primary school students as child advocates for health, education as their right, HIV/AIDS prevention, etc. Groups of students travel throughout their community to deliver important messages to people of all ages through music, dance and drama. All of CFTC’s African partners encourage participation in the Day of the African Child (June 16), which honours the anniversary of a deadly student protest that took place in South Africa in the 1970s, but is marked today by colourful celebrations and arts festivals. African children are front-and-centre during the day’s festivities, sharing their views in the form of speeches, songs, plays, poetry recitals and dances. Although its origins are tragic, the day is an opportunity to celebrate the rights and voices of African children across the continent. It is also a time to talk about situations of risk that may be affecting African children today. 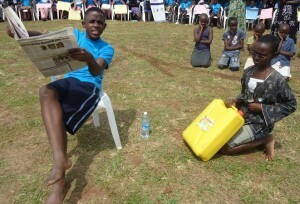 For example, this year CFTC’s Ugandan partner HUYSLINCI had the Commissioner for Children and Youth Affairs talk about discrimination against disabled children, child neglect by parents, and the current and growing problems of child labour, child trafficking, the commercial exploitation of children and domestic violence. 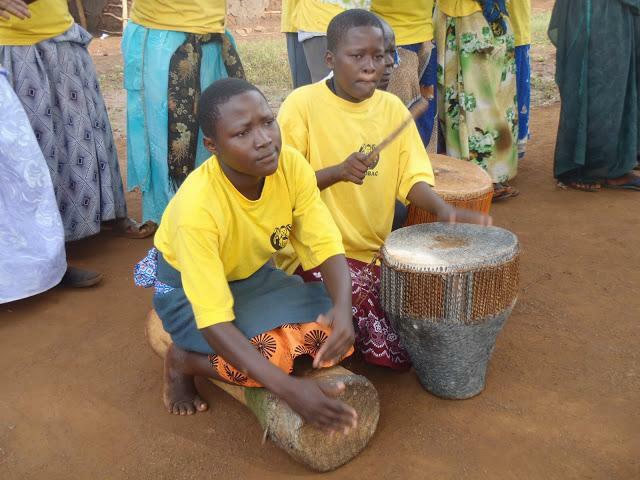 Aside from the awareness-raising of children’s rights that drama and dance offers, music is another art form that offers tangible and important benefits to children in CFTC’s partner communities. In Bolivia, CFTC’s local partners Alalay and SCSJ (Sociedad Católica de San José) both run very strong music programs that complement their other health and education programs. Children learn and play music on traditional instruments as a means of self-expression, therapy and a way of connecting to their indigenous culture. Playing in a band or orchestra offers important confidence-building and teamwork skills, too. Alalay’s youth orchestra, started in 2010, consists of eight children who play native music adapted for string instruments. The group is so talented, that they were invited to travel to Austria in August 2012 to play in a music festival. 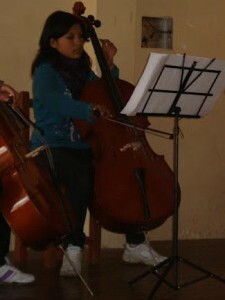 SCSJ’s youth orchestra is supported in part by the Municipality of La Paz. They perform Bolivian indigenous music as well as contemporary music at concerts and festivals hosted by the municipality. SCSJ’s Alpacoma location runs a similar program, but their youth orchestra is focused exclusively on Bolivian native music. Played on traditional instruments, the music program enables indigenous children to learn about and celebrate an important part of their cultural heritage, while also preserving and performing it for others to enjoy. Whether giving voice to issues or offering a creative outlet for self-expression, art in all its forms is an important method for empowering children and allowing their rights to take centre stage.